One hurricane, one faith and one website was all it took to unite First Baptist Church of Grand Prairie and Trinity Baptist Church of Aransas Pass. After Hurricane Harvey hit the Texas coast, “we immediately … spent time in our worship service praying for our brothers and sisters,” said Dr. Bill Skaar, pastor of First Baptist Church of Grand Prairie. 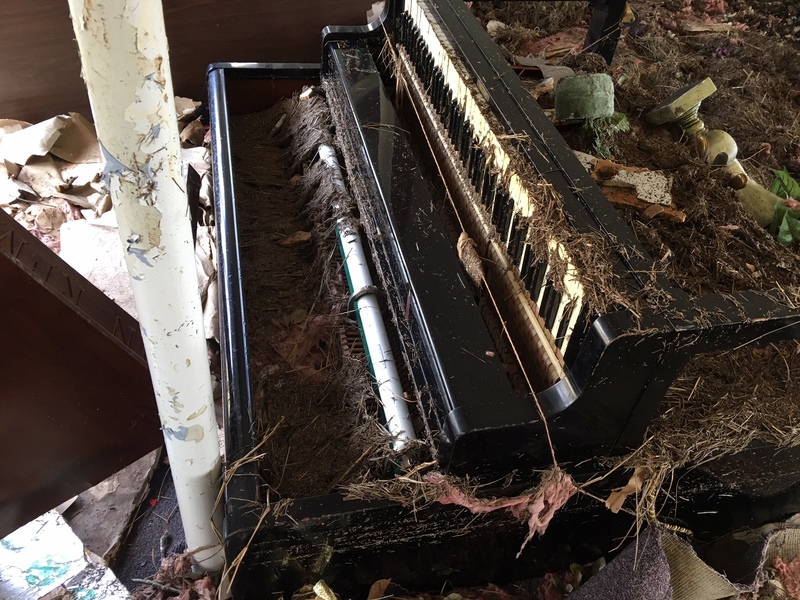 Six hours away, the sanctuary and fellowship hall belonging to the brothers and sisters at Trinity Baptist Church was flooding with up to five feet of water destroying walls and furniture, and overturning their upright piano. 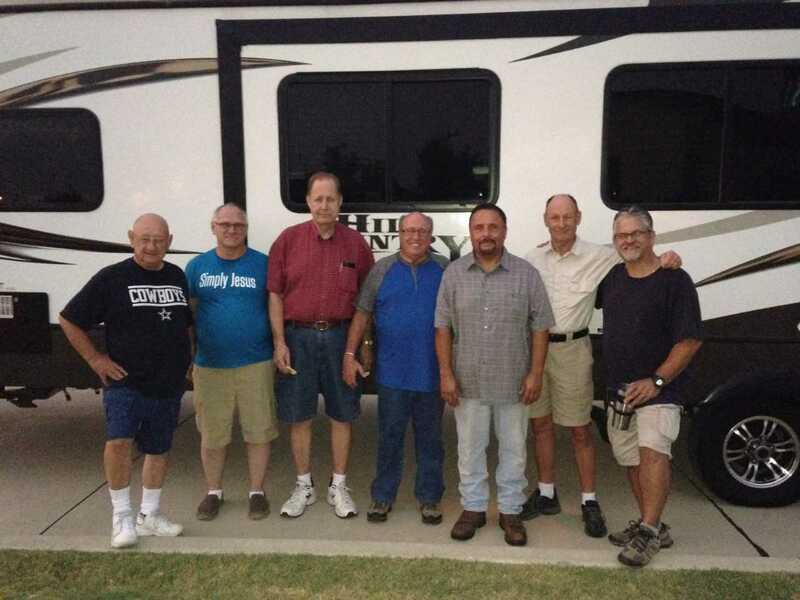 FBC Grand Prairie members began spontaneously collecting an offering for Texas Baptist Men to aid in hurricane relief, but the help did not stop there. Skaar said he wanted to do more, and a friend recommended he visit the Church2Church Partnerships page where Texas Baptists had compiled a list of many churches in need after Hurricane Harvey. There, he said he searched for smaller churches that may not yet have a large network through which to seek help. He found Trinity Baptist Church of Aransas Pass – a church of about 40 members. “We can’t all do everything, but all of us can do something,” Skaar said after describing the large number of churches in need. About two weeks after the storm, Skaar contacted Jesse Martinez, a charter member of Trinity Baptist Church in charge of reconstruction, and sent a team of seven men to Aransas Pass equipped with supplies, including sheetrock and insulation. “God spared my house, so it’s time for me to rebuild His house,” Martinez said during his sixth week of construction at the church. 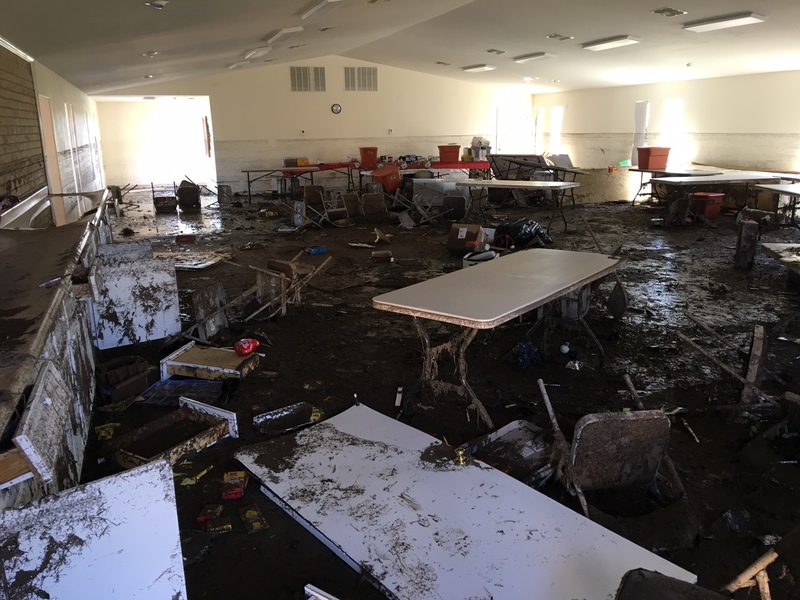 While both the sanctuary and the fellowship hall were damaged, the team began work, restoring the fellowship hall that sat under 4 inches of mud, according to Martinez. In the fellowship hall, Martinez said the crew cut away all sheetrock below 6 feet and installed the new insulation and sheetrock. Skaar said the team worked for three days, sleeping at night in the fellowship hall itself and an RV. And FBC Grand Prairie was not the only church sending aid. Martinez said about seven churches offered assistance, citing a pastor who drove from Mississippi to deliver a $4,000 check as well as a man who drove an RV from Pennsylvania to donate it to a family whose home was ruined. Still, the helpful spirit will not end there. Today, there are many churches still in need. Trinity Baptist is continuing to rebuild its sanctuary. 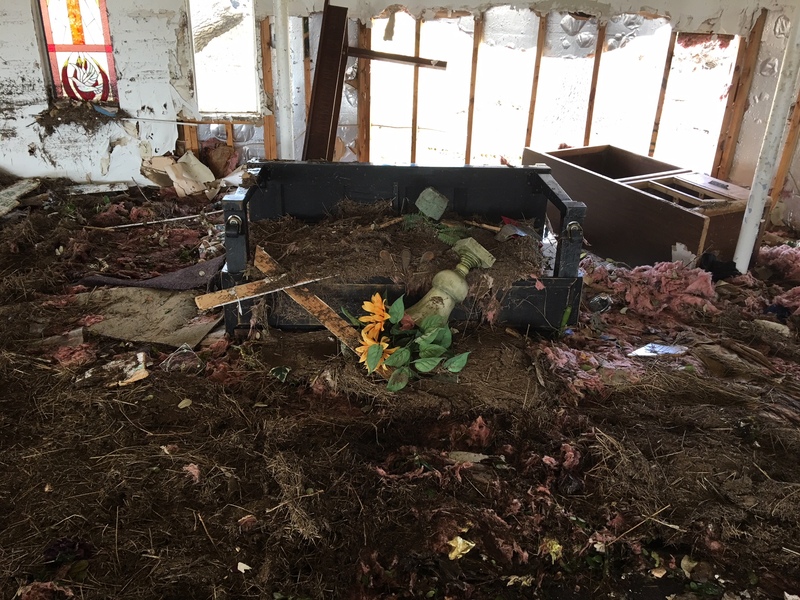 Skaar said he encourages other churches to partner with an affected church because although its members are willing to help their church rebuild, they must also repair and rebuild their own homes. If you or your church is interested in partnering with Trinity Baptist Church of Aransas Pass or another church affected by Hurricane Harvey, please visit texasbaptists.org/church2church or call (888)244-9400 for more information.